WHITE PLAINS — On a regular day, a water main break can mean long hours for our members making the repairs. When the wind chill is 15 to 20 degrees below zero, it takes things to a new level. Water main breaks were just the tip of the iceberg, no pun intended. Workers repaired more than a dozen leaks during the blast of arctic weather, with jobs ranging from 16-inch pipe to a ¾ inch service line leak. On top of that, workers handled multiple sewer backups, fire hydrant repairs, and more than a dozen water meters inside residents’ homes that had to be replaced after freezing. Broken pipes and shutoffs at homes were numerous, said CSEA member John LaVigna. At one house, workers even had to create a makeshift shield to protect them from water spraying from a burst pipe as they worked to replace a frozen meter. According to CSEA member Charlie Gray III, a foreman, workers wore five to six layers of clothing, along with scarves and hats, allowing them to get the job done. 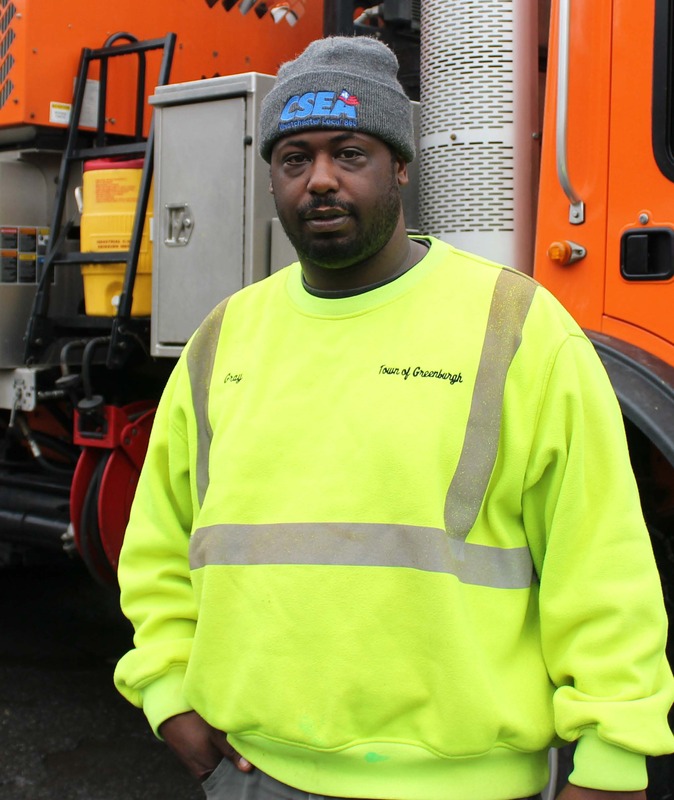 The work put some wear and tear on members’ work gear, said Meszaros, noting that workers there went through a dozen pairs of work boots and three dozen pairs of gloves over the course of the worst weather. Wow I knew it was a rough winter for these guys but with good foreman like Steve Meszeros on the job Greenberg is in good shape!!!!!!! Wow I knew it was a rough winter for these guys but with good foreman like Steve Meszeros on the job Greenberg is in good shape!!!!! !